The leftist Peace Now organization is accusing three MKS of incitement for attending a protest against illegal immigrants in south Tel Aviv. MKs Miri Regev, Danny Danon, Yariv Levin (all of the Likud) and Michael Ben Ari (National Union) all attended Wednesday's demonstration, which ended with 17 arrests and an assault of a foreign worker. At least 1,000 residents and supporters rallied to the cause. 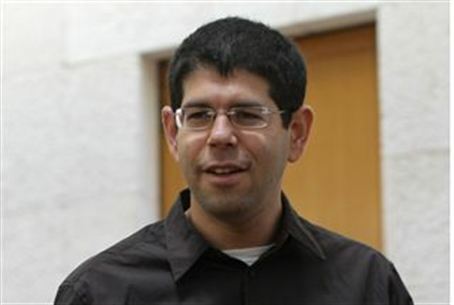 Peace Now chairman Yariv Oppenheimer petitioned the Attorney General to launch an investigation against Regev, Danon and Ben Ari for incitement to violence. "The MKs' racist calls and incitement to violence were quickly translated into action on the ground,” Oppenheimer charged. Residents of south Tel Aviv's Hatikva neighborhood are soon to be offered self-defense courses which are being organized by MK Michael Ben Ari and Baruch Marzel. The intiative comes in response to pleas for help from people who live in the area and who say they feel they are at the mercy of the recent violence by illegal African aliens, reportedly with little response from local police. Similar reports are emanating from other cities in which there are significant populations of the African illegals, such as Eilat and Arad.